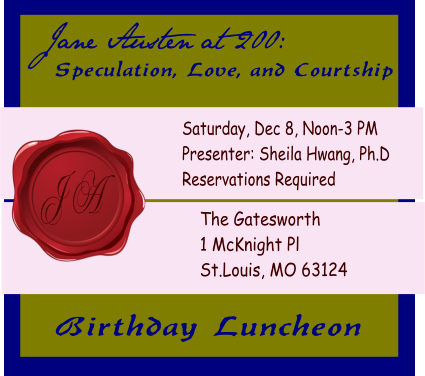 Our annual Jane Austen Birthday luncheon was held at The Gatesworth. Many members and their guests were present enjoy a delicious lunch and champagne toast followed by a lively game of Speculation taught and lead by JASNA member, Shelia Hwang, Ph.D. Speculation (a fun, fast-paced card game featured in Mansfield Park) was a game enjoyed by Jane and many people during the Regency period. 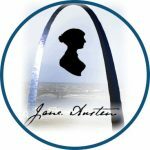 After the game, we examined the relationship between the rules of the game and the rules of love and courtship, finding examples in Austen’s novels, in her life, and in our own. Careful readers of Jane Austen’s novels have noticed that characters sometimes play various card games in the course of Austen’s novels, but they have not always realized that Austen uses these games thematically. Many thanks to our exiting Regional Co-Coordinators, Rose Marie Nester and Jim Heine, for their excellent service, hard work, and dedication to the St. Louis region for the past six years!! 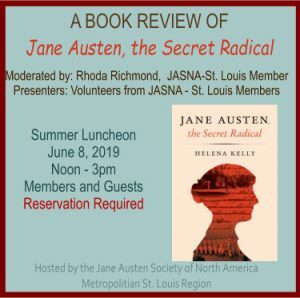 Tagged Birthday Luncheon, JASNA-StL, Mansfield Park, Regency life. Bookmark the permalink.